What about creating The Ubuntu Administrator’s Handbook? You are here: Home / Action / What about creating The Ubuntu Administrator’s Handbook? I am currently running a crowdfunding campaign whose ultimate goal is to liberate the English translation of a French book that I have written. 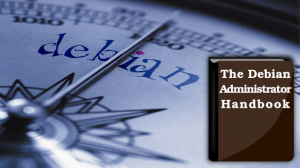 This book will be named The Debian Administrator’s Handbook because it has primarily been written for Debian. But since Ubuntu is based on Debian, a large part of its content applies equally well to Ubuntu. While discussing with Mark Shuttleworth, he suggested me to reuse those parts and to create a new book dedicated to Ubuntu. It would also cover the latest cloud technologies that Ubuntu has been delivering (since this is a topic that the current book does not cover). This is something that I have been envisioning for a while and something that I would be ready to try if we manage to complete the liberation of the current book. This project would then bring a truly free book to the Ubuntu ecosystem. There’s a policy in place that ensures that official Ubuntu books use a free software/culture license and they are effectively available under the terms of a Creative Commons Share Alike license. But try to create a derivative book… you won’t find the “sources” (LaTeX or DocBook usually with most big books). You can only find a few PDF copies if you google for it. But this is really not the preferred form of modification for such a book. Those books are also not packaged. Ubuntu much like Debian deserves to have a good book embodying the values of free software that can be shipped together with its product. When I speak of liberation of the book, I really mean it in the way that free software hackers are used to: a public Git repository containing the DocBook sources, the pictures and the .dia files for the various schemas. I understand that at this point this proposed Ubuntu book is really hypothetical (“vaporware” one could say) but we need to go step by step to make it a reality. And the first step is to ensure that we manage to liberate the Debian Administrator’s Handbook. For this I am seeking the support of the Ubuntu community to promote the current fundraising campaign. If the perspective of the Ubuntu book is not enough to convince you, you’ll be glad to learn that I also commit to give back to Ubuntu 15% of the money raised via the link below (once VAT has been subtracted). Click here to go to the crowdfunding campaign page and pledge a few euros. 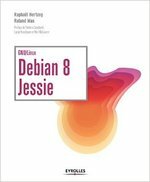 Then share this article (or the link https://debian-handbook.info/go/ulule-ubuntu/) and convince others to participate. At this point, the liberation target is entirely reachable with your help and the help of the community: the remaining 18 K€ needed in the liberation fund represent 720 persons giving 25 EUR each or 1800 persons giving 10 EUR each. Thank you very much for your support and your help in this project!